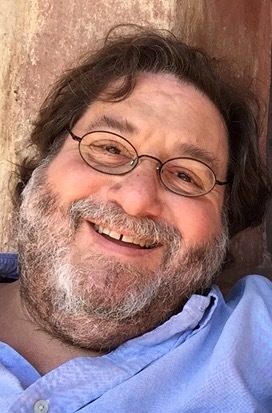 Jay Chavkin attended the University of California, Berkeley and graduated with honors in 1980 with a degree in Political Science. He spent a semester studying at the United Nations through a program sponsored by SUNY culminating in his participation as a delegate in the Harvard Model United Nations. Jay Chavkin attended Loyola Law School in Los Angeles, California and graduated in 1994. He was on the staff of the Loyola of Los Angeles Law Review and his article “A Man Without a Country: The Just Deserts of John Demjanjuk” was published in the January 1995 issue. In his final year of law school, Jay Chavkin worked as a student clerk for the Honorable Harry Pregerson, Judge, Ninth Circuit Court of Appeals. An illness prevented Jay from preparing for and taking the bar exam right out of law school, but he took and passed the California bar exam on his first try in February 1995 when only 40% passed. He was sworn into the California State Bar in Judge Harry Pregerson’s chambers in the summer of 1995. Jay Chavkin began his legal career as a civil litigator. He went on to work as a research attorney for Los Angeles Superior Court. He later built a successful private criminal appellate practice and has appeared before the California Supreme Court, California Courts of Appeal, and the Ninth Circuit Court of Appeals. During his legal career, he tutored both law students and students preparing to take the California bar exam. After several years, he transitioned into the bar preparation business full-time so that he could devote himself fully to the success of his students and the growth of Personal Bar Prep. Jay Chavkin was asked by a former law professor to tutor a student of his as she prepared to take the California bar exam shortly after he had passed. The experience was a revelation–not just because the tutoring student passed the exam, but because he learned that he had a talent for and a love for teaching he never knew he had. He studied the bar subjects and essays in order to master them and gained more and more students through referrals, finally creating a small group oriented course called Personal Bar Prep to accommodate his students. Jay now lectures on all bar subjects, teaches small group writing workshops, MBE workshops and tutors private bar students. Jay Chavkin also designed and directs the Personal Bar Prep baby bar review course which prepares law students who are required to pass the First Year Law Students’ Exam or baby bar exam. Preparing to Pass the California Bar Exam: Getting Ready for the Hard Work of Bar Prep. You can follow Jay on Twitter, @JayChavkin.